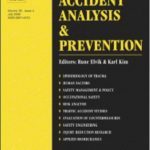 A paper titled ‘Towards an integrated approach of pedestrian behaviour and exposure’ authored by Eleonora Papadimitriou is now published in Accident Analysis & Prevention. 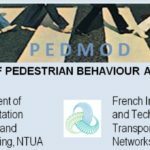 An integrated methodology for the analysis of pedestrian behaviour and exposure is proposed. 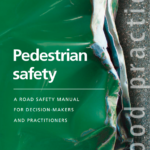 The paper builds on existing research on pedestrian exposure, namely the Routledge microscopic indicator, and uses integrated choice and latent variables (ICLV) models of pedestrian behaviour, taking into account road, traffic and human factors. 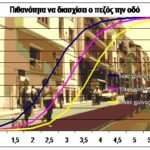 The method is tested with data from a field survey in Athens, Greece, which used pedestrian behaviour observations as well as a questionnaire on human factors of pedestrian behaviour. 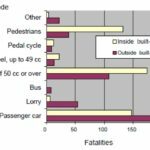 The results suggest that both pedestrian behaviour and exposure are largely defined by a small number of factors: road type, traffic volume and pedestrian risk-taking. 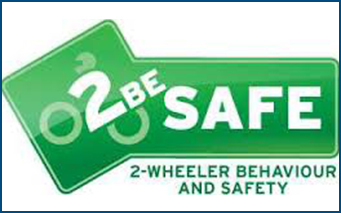 The probability for risk-taking behaviour and the related exposure decrease in less demanding road and traffic environments. A synthesis of the results reveals conditions of increased risk exposure: principal urban arterials (where risk-taking behaviour is low but the related exposure is very high) and minor arterials (where risk-taking behaviour is more frequent, and the related exposure is still high). A “paradox” of increased risk-taking behaviour of pedestrians with low exposure is found, suggesting that these pedestrians may compensate in moderate traffic conditions due to their increased walking speed. 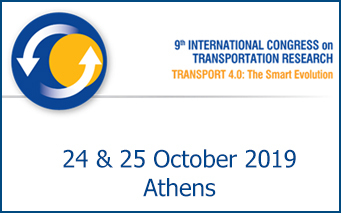 Athanasios Theofilatos, NTUA PhD Candidate and Researcher at the Department of Transportation Planning and Engineering in the School of Civil Engineering of the National Technical University of Athens, obtained theNTUA Thomaidion Αward 2013 for the publication of the paper titled “Pedestrian Gap Acceptance for Mid-Block Street Crossing”, co-authored by Prof. George Yannis and Dr. Eleonora Papadimitriou in the Journal of Transportation Planning and Technology. 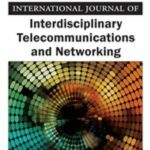 A paper titled ‘Simulation of Pedestrians and Motorised Traffic: existing research and future challenges‘ co-authored by Eleonora Papadimitriou, Jean Michael Auberlet, Sylvain Lassarrre and George Yannis is now published in International Journal of Interdisciplinary Telecommunications and Networking. 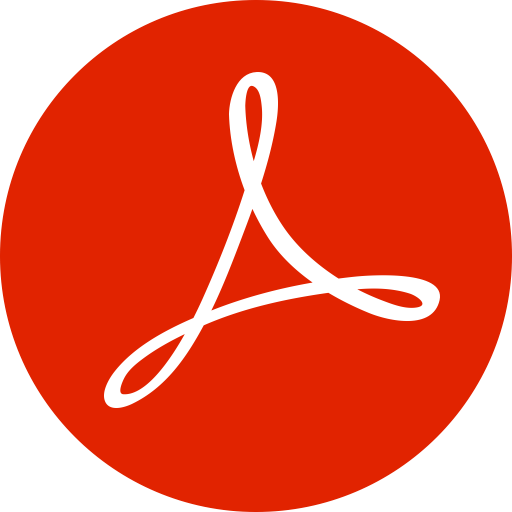 The objective of this paper is the analysis of the state of the art in pedestrian simulation models and the identification of key issues for further research, with particular focus on the modelling of pedestrians and motorised traffic. 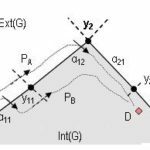 A review and a comparative assessment of pedestrian simulation models are carried out, including macroscopic models, earlier meso- and miscosimulation models (mostly in Cellular Automata) and more recent Multi-Agent simulation models. 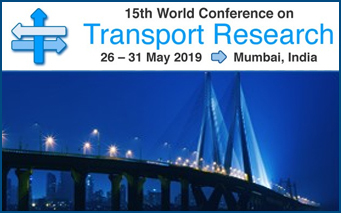 The reviewed models cover a broad range of research topics: pedestrian flow and level of service, crowd dynamics and evacuations, route choice etc. However, pedestrian movement in urban areas and the interactions between pedestrians and vehicles have received notably less attention. 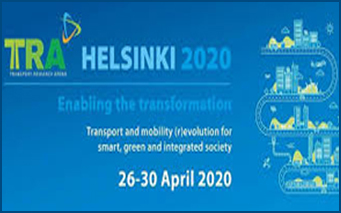 A number of challenges to be addressed in future research are outlined: first, the need to and account for the hierarchical behavioural model of road users (strategic / tactical / operational behaviour); second, the need for appropriate description and parameterization of vehicle and pedestrian networks and their crossing points; third, the need to exploit in the simulation models the results of statistical and probabilistic models, which offer valuable insight in the determinants of pedestrian behaviour. 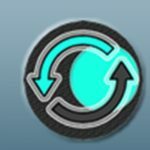 In each case, recent studies towards addressing these challenges are outlined. 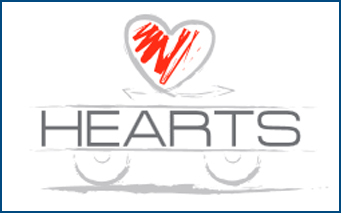 National Highway Traffic Safety Administration (NHTSA) and Federal Highway Administration (FHWA) are working hard to raise awareness of the dangers to pedestrians, and to provide leadership, expertise, and resources to communities across America to combat these crashes. Everyone has different preferences when it comes to transportation, but there’s one that all road users share – everyone is a pedestrian. 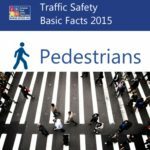 ‘Everyone is a pedestrian’ initiative urges parents, caregivers, educators, traffic safety officials, and advocates to make the most of pedestrian safety resources to improve the quality of life in their communities. 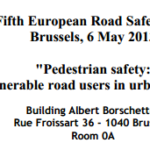 During the 5th European Road Safety Day on May 6th, 2013 organised by the European Commission, a conference dedicated to reducing pedestrian fatalities in urban areas was held in Brussels. 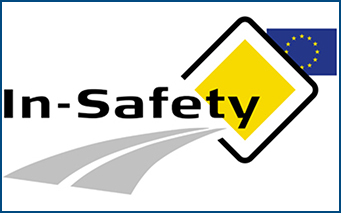 Commission Vice-President Siim Kallas said: “The EU has an outstanding road safety record in global comparison. But every death is one too many. 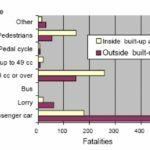 Pedestrians and cyclists are facing the biggest risks in urban areas. And these risks are likely to increase rather than decrease with ever rising traffic volumes in our growing cities. 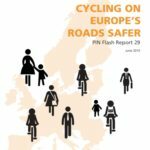 This is why we are addressing this issue pro-actively on the occasion of the European Road Safety Day and the UN Global Road Safety Week“. 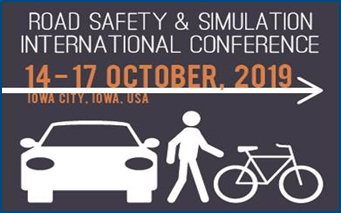 At this Conference, the Commission’s work on several measures specifically linked to the safety of vulnerable road users and urban road safety have been demonstrated together with key presentations by road safety experts and representatives of the major international road-safety organisations. 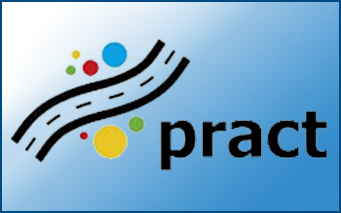 The good practice manual, titled ‘Pedestrian Safety: A road safety manual for decision-makers and practitioners’jointly prepared by GRSP, WHO, the FIA Foundation and the World Bank, is now available on the website of the United Nations Road Safety Collaboration. 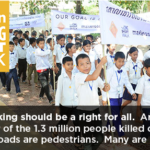 Each year, more than 270.000 pedestrians lose their lives on the world’s roads. 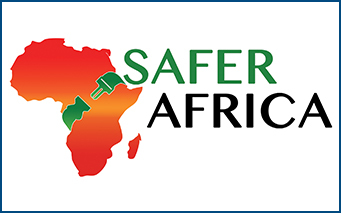 Globally, pedestrians constitute 22% of all road traffic fatalities, and in some countries this proportion is as high as two thirds of all road traffic deaths.The manual stresses the importance of a comprehensive, holistic approach that includes enforcement, engineering and education. 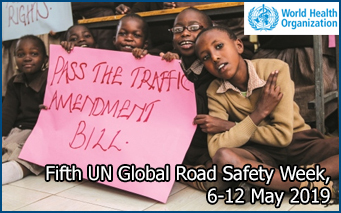 The second United Nations Global Road Safety Week is dedicated topedestrian safety and will be held 6-12 May 2013. 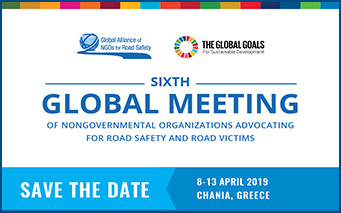 The Road Safety Week will draw attention to the urgent need to better protect pedestrians worldwide, generate action on the measures needed to do so, and contribute to achieving the goal of the Decade of Action for Road Safety 2011-2020, to save 5 million lives. 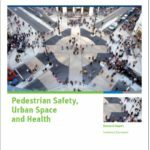 Useful resources and ideas for pedestrian safety are proposed: Activities, Design Guides, Guidelines, Policy, Research Reports. 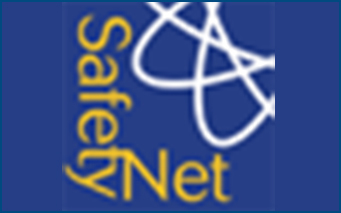 A paper titled ‘Patterns of pedestrian attitudes, perceptions and behaviour in Europe‘ co-authored by Eleonora Papadimitriou, Athanasios Theofilatos and George Yannis is just published in the Safety Science Journal. 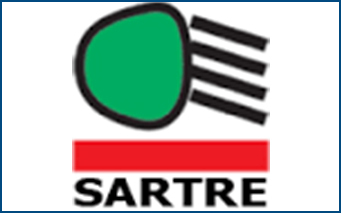 The paper aims to identify patterns of pedestrian attitudes, perceptions and behaviour in Europe, on the basis of the results of the SARTRE 4 (Social Attitudes to Road Traffic Risk in Europe) pan-European survey carried out in late 2010 and early 2011. 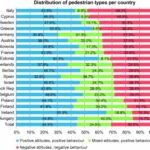 The results revealed eight components, from which six are associated with pedestrian attitudes and two with pedestrian behaviour and were further analysed for different countries and different age and gender groups. 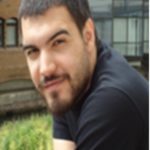 A paper titled ‘Analysis of Pedestrian Exposure to Risk in Relation to Crossing Behaviour‘ co-authored by E.Papadimitriou, G.Yannis and J.Golias is published in the Transportation Research Board. The objective of this research was to analyze pedestrian exposure to risk along urban trips in relation to pedestrian crossing behavior. 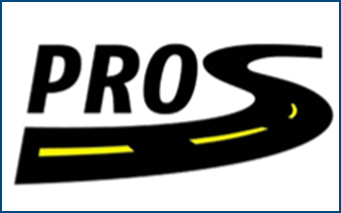 The results showed that exposure to risk for pedestrians along a trip was significantly affected by the pedestrians’ crossing choices, as well as by road and traffic characteristics. Results also revealed that pedestrians with increased walking speed might have partly compensated for their exposure to risk so that the risk was not significantly affected by traffic volume. 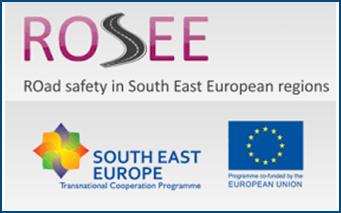 Road Safety of Pedestrians in the EU is highlighted at the Traffic Safety Basic Facts 2011 recently released at the European Road Safety Observatory of the European Commission as prepared by the DACOTA project. 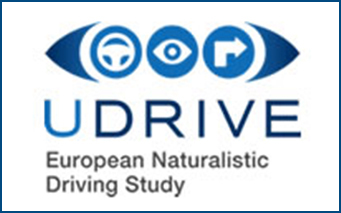 6.641 pedestrians were killed in road traffic accidents in the EU countries in 2009, which is 20% of all fatalities. 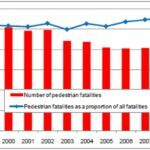 This figure represents a 34% decrease in relation to the 9.476 pedestrian fatalities since ten years before in 2000. 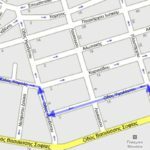 A paper titled “A GIS-based methodology for identifying pedestrians’ crossing patterns” co-authored by S.Lassare, E.Bonnet, F.Bodin, E.Papadimitriou, G.Yannis and J.Golias is just published in the scientific journal: Computers, Environment and Urban Systems. 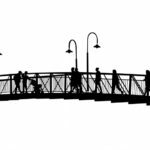 The objective of this research is the development and testing of appropriate indicators of pedestrian crossing behavior along urban trips, and a methodology for collecting and processing the data required for the analysis of this behavior. 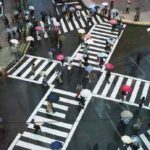 The results suggest specific patterns of pedestrian crossing behavior, such as the tendency to cross at the beginning of the trip and the tendency to cross at mid-block locations when signalized junctions are not available. 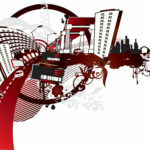 The results are further discussed in terms of urban planning and management implications. It is concluded that the proposed approach is very efficient for the analysis of pedestrian crossing behavior in urban areas. 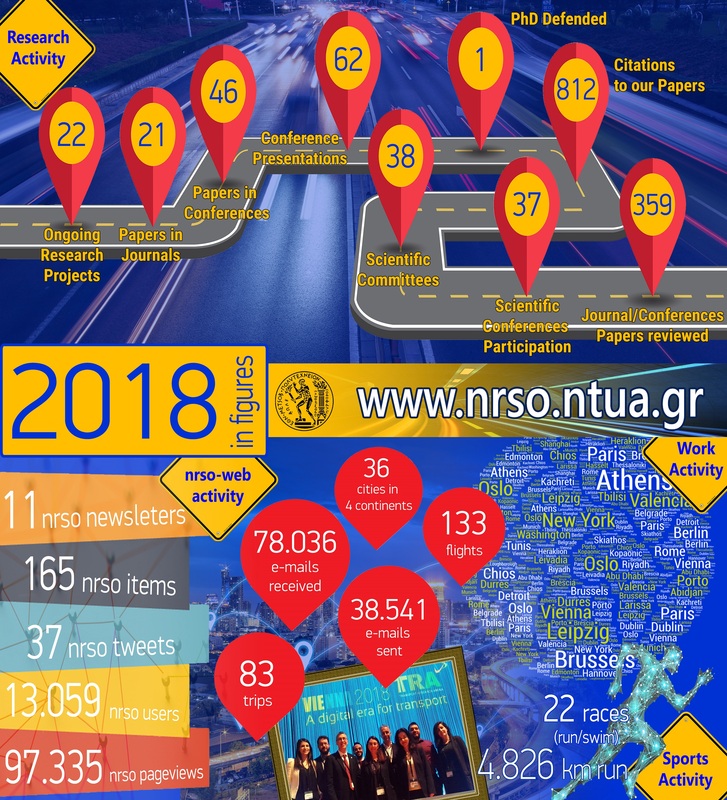 A research titled ‘About pedestrian safety in Europe’ co-authored by E.Papadimitriou, G.Yannis and P.Evgenikos from NTUA, was published in the Journal Advances in Transportation Studies in July 2011. 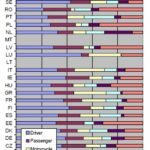 Data on pedestrians’ fatalities for the period 1997-2006 from 19 EU countries, extracted from the EU CARE database, were associated with basic road safety factors like pedestrian’s age and gender (with particular focus on children and the elderly), lighting conditions, area type (inside / outside urban area) as well as seasonality. 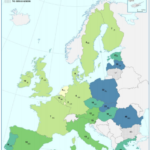 The results suggest that, although pedestrian fatalities in Europe present a decreasing trend, pedestrian fatality rates are still increased in Southern European countries, as well as in the new Member States. 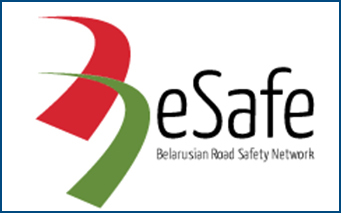 Road Safety of Pedestrians in the EU is highlighted at the Traffic Safety Basic Facts 2010 recently released at the European Road Safety Observatory of the European Commission as prepared by the DACOTA project. 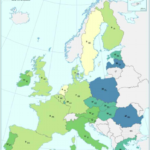 7.638 pedestrians were killed in road traffic accidents in the EU countries in 2008, which is 20.4 % of all fatalities. 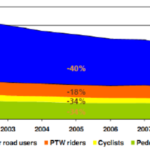 This figure represents a 25% decrease in relation to the 10.278 pedestrian fatalities since ten years before in 1999. 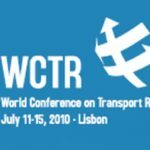 The International Transport Forum (ITF/OECD) published the Research Report on Pedestrian Safety, Urban Space and Health. 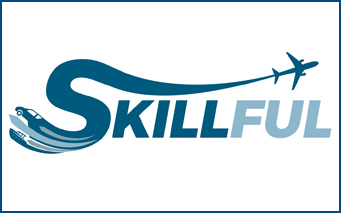 This Report is the result of a three-year co-operative effort by an international group of experts representing 19 countries, chaired by NTUA Professor Thanos Vlastos and with contribution from NTUA Research Associate Eleonora Papadimitriou. The purpose of this report is to emphasize the importance of walking as an integral part of the transport system and the vital need for policies to promote walking at all levels of planning. 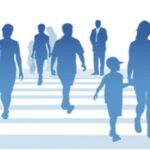 National governments and transport and health ministers can do much to support and encourage walking, even when it is considered to be mainly a local policy issue. 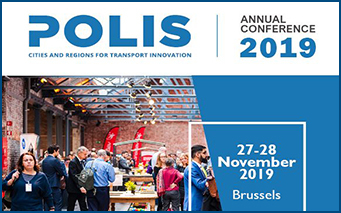 A clear vision and political support at national level, backed by a systematic approach to understanding and defining infrastructure quality for pedestrians, is an important complement to and support for initiatives taken by local authorities. 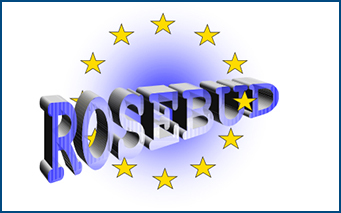 On that purpose a comprehensive set of twelve recommendations is proposed. 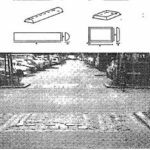 A Diploma Thesis titled ‘Ιnvestigation of the minimum gap from the vehicle accepted by the pedestrian for urban street mid-block crossing’ was presented by Athanassios Theofilatos in March 2009. 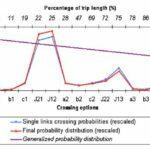 A lognormal regression model was developed in order to investigate the influence of certain parameters in the minimum pedestrian gap acceptance. It appeared that the distance from the vehicle, illegal nearby parking that may affect pedestrian’s visibility, the vehicle size and possible companions have statistically significant impact to the minimum gap acceptance. 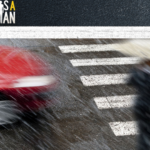 Concerning the choice to cross the road or not, the waiting time and the gap between the pedestrian and the vehicle strongly define his decision. 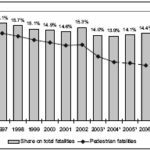 A research titled ‘Assessment of pedestrian safety measures in Europe’ co-authored by G.Yannis, G Kanellaidis, J.Dimitropoulos and N. Muhlrad was published in ITE Journal in December 2007. 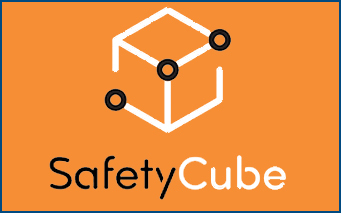 An extensive hierarchical inventory of pedestrian safety measures took place, classifying them according to the functions served and the main safety problems addressed. 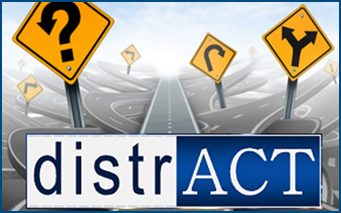 This comprehensive synthesis showed that mechanisms should be ensured for converting policy into practice at the level of “street design” and guaranteeing coordination between actors of different responsibilities and disciplinary backgrounds. 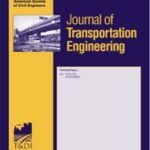 A research titled ‘Modelling crossing behaviour and accident risk of pedestrians’ co-authored by G.Yannis, J.Golias and E.Papadimitriou from NTUA, was published in the Journal of Transportation Engineering in November 2007. 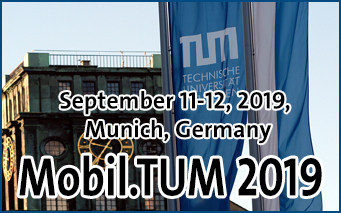 A methodology for modeling pedestrians crossing behavior along an urban trip is presented, as well as an algorithm for the estimation of accident risk along the trip. 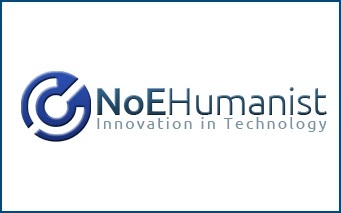 For that purpose, existing models are exploited and further developed. 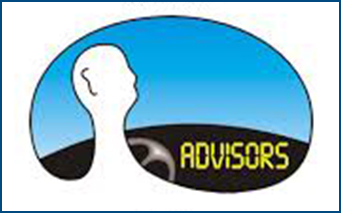 A research titled ‘Measuring accident risk exposure for pedestrians in different micro-environments’ co-authored by S.Lassarre, E.Papadimitriou, G.Yannis and J.Golias was published in the Journal Accident Analysis and Prevention in November 2007. 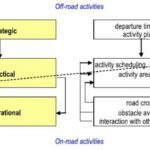 A model of pedestrians’ crossing behaviour along a trip is developed, based on a hierarchical choice between junctions and mid-block locations and taking account of origin and destination, traffic characteristics and pedestrian facilities. A complete framework is produced for modelling pedestrians’ exposure in the light of their crossing behaviour. 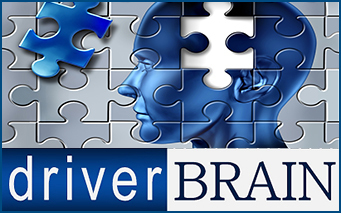 The feasibility of this approach is demonstrated on an artificial network and a first set of results is obtained from the validation of the models in observational studies. A Diploma Thesis titled ‘Correlation of pedestrian safety impact parameters’ was presented by Marianna Aggelidaki and Manos Vernandos in July 2006. 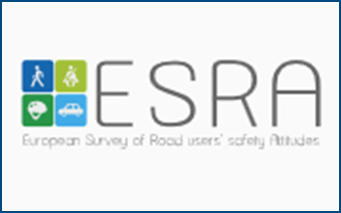 The use of log-linear analysis was chosen and applied for the statistical analysis of data from roadaccidents involving pedestrians for the period 1996 – 2003 in Greece. 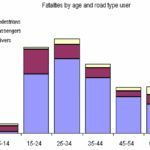 The results of the analysis suggested that children under 15 years old and elderly over66 years old appear to have higher probabilities of fatal injury, while no relationship wasproved between the probability of fatal injury, gender and nationality of the pedestrian. 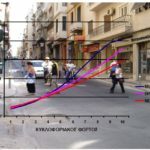 A Diploma Thesis titled ‘Investigation of pedestrian behavior in crossing an urban road section’ was presented by Kostantinos Makris in July 2004. 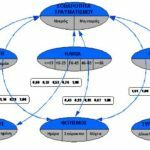 The models used are Multinomial Logit Model, Discrete Choice Model and Nested Logit Model. 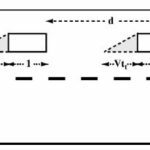 The Nested Logit Model is the most appropriate for the description of pedestrian behavior, the application of which has led to the identification of the parameters’ impacts on the pedestrian choice.